There are two methods to subscribe for Yojana and Kurukshetra. i) Online Mode ii) Offline Mode. Here I have explained both the methods. Before some days only offline method was available. Now both online and offline methods are available. Let us deal with the topic straight into it. The Online method will be just similar to ordering from Flipkart. Explanations are not needed for that but I’m explaining for your confirmation. Go to https://bharatkosh.gov.in/Product/Product and select the journal to which you have to subscribe. Fill the form which asks for Name, Address, Phone Number. Select the payment bank and enter credentials. Yojana is not available in every shop so it is always recommended to Subscribe for Yojana. Many websites provide different methods for the subscription. I wrote this post just to be simple and easy for my fellow aspirants. There are two methods in subscribing for Yojana. Follow the detailed step by step procedure given below. 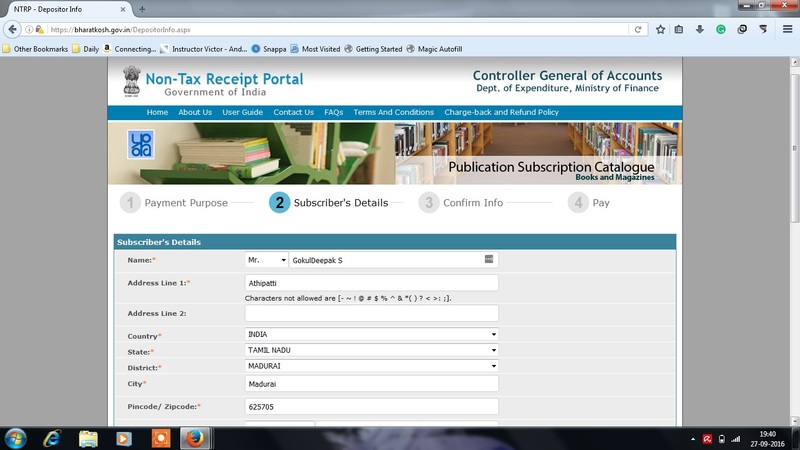 There is no Provision to subscribe for Yojana or Kurukshetra via online. So to subscribe you should send Money order/ Bank Draft. Please read both the methods before selecting any one method. Subscription price may vary. so please check for subscription plan before taking MO/DD. Mail charges will change according to the country of your residence. Price will be generated when you select for the book in their web portal. Note: If you are sending Money Order. Money Order Should have your complete address. If You are sending DD then follow the steps 2,3 carefully. When Will I start to receive Yojana Magazine after Subscription? You will receive your first issue immediately after Subscription. Eg: If you subscribe in September you will start to receive issues from October. On Which Date New Yojana Magazine will be Issued? Simple Explanation: Yojana English Magazine for October 2018 Issue will be released on 25 September 2018 itself. They will send October Month’s Yojana Hindi Magazine on 29 September 2018 through ordinary post. How will they send Yojana Magazine? Yojana Magazine will be sent only through the ordinary post. It would take a week to reach you depending on your location. The cost for ordinary post is included in the subscription charge itself. So you need not pay extra for it. Can I get Yojana in Registered Post? Yes, you can get Yojana in the Registered post. The ordinary post will reach you slowly and depending on your location it may even take upto 10 days. But in the registered post, you can receive the magazine quickly. But the postal charges have to be borne by yourself. So you should pay Rs. 204 extra per annum per journal, which is very costly to afford. Should I subscribe Yojana through Online or Offline? Subscribing to Yojana through Online mode is very easy and recommended. The offline process is a time-consuming process. 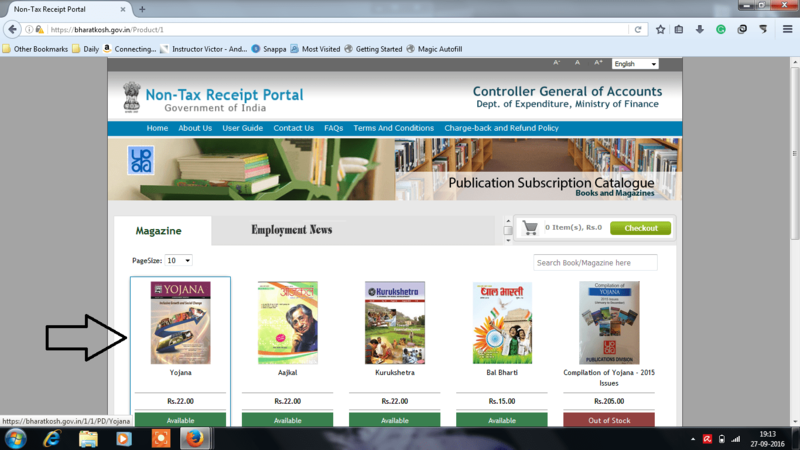 However, the cost for Yojana magazine is the same for both online and offline mode. 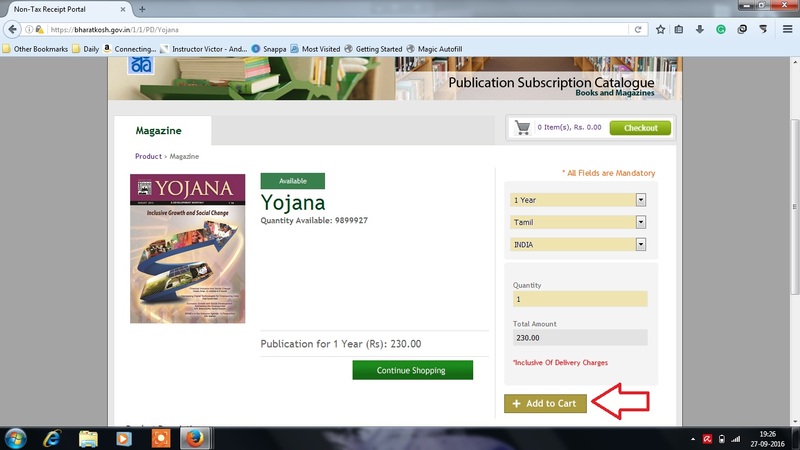 In online mode you can get confirmation of subscribing to yojana whereas in offline mode you can’t confirm until you receive your first magazine. Yojana Magazine is published by the Publications Division of Ministry of Information and Broadcasting, Government of India. Yojana is a magazine through which the Government communicates with the public. It carries vital information about the society and the policies taken by the government. thank you so much Gokul……. I took a dd in sbi for yojana but in the favour of “ADG(I/C), publications Divisions, Soochna Bhawan, C.G.O. Complex” as the bank people said that such long one cannot be fitted. Is this ok .
no problem. 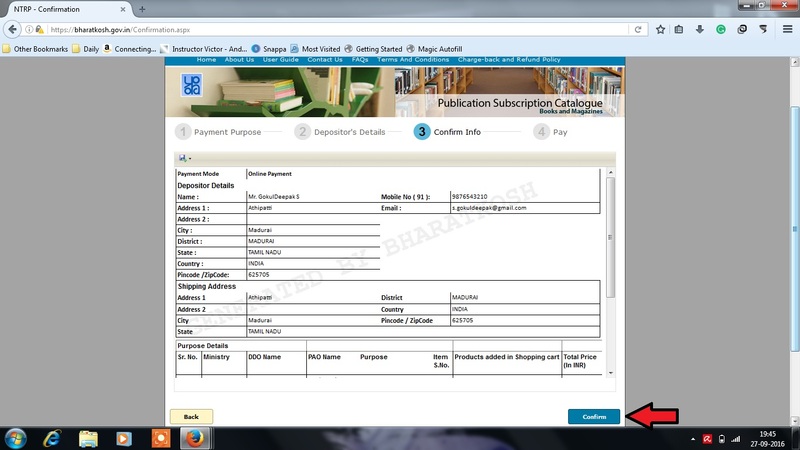 Download Subscription form and send DD along with the filled subscription form to correct address mentioned in this post. Have you followed all procedures mentioned here? I couldn’t find the link to download subscibe coupon. Kindly guide. Hi Sir, I am located in Singapore. 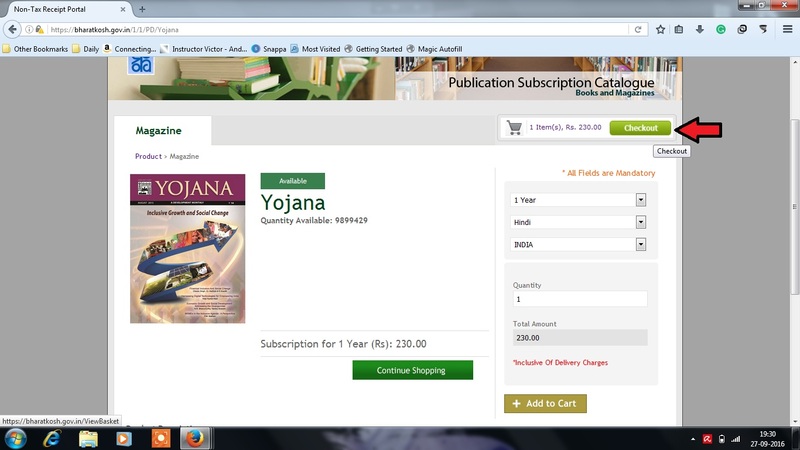 I want to subscribe Yojana magazine for 1year. Does the magazine would be sent to Singapore address?. I cannot find any comments about the delivery quality outside india(Singapore). Please guide me. if there any other means of payment such as online payment without any dd and money order.. Yes Online payment is available now. I have recently updated the change in payment method. please have a look at that. If I subscribe yojna from this month(aug 2017) for one year then yojna magazine of which month or date will they start sending.Will it be August 2017 magazine or Jan 2017 magazine? I have received a message that amount is debited from my account and transaction apperared as failed onthe portal. can you say is my transaction for yojana monthly online subscription success or not? They will refund the amount in 2-3 working days. If not our subscription got success. I subscribe yojana magazine for one year on april 3rd, till now i do not get any magazine from them. can you say from which month this magazine get delivered to me? You will start to receive issues from May 2018. Sir i have gone through the subscription procedure by online for the yojana magazinemagazine. It has completed all the process till the payment .i have also got the sms of deduction of 230rupees for the subscription (in my mobile no).but the page shown a massage on the screen that “sorry,we r apologized ,that your transaction has not done.please try again.” Now what should i do? Has the process completed or i have to subscribe again with money? If the failure was from the bharatkosh server you will get yojana subscribed. If the failure was during communication between servers The amount will be refunded from the bank in 2-3 days. i subscribed for yojana on 11 july 2018 for 1 year ,will i be able to get the yojana from january 2018?? how many days it can be expected to be delivered to Guwahati. You made very easy to access books and magazine for preparation of exam..
i had subscribed yojana in july2018, now it was oct 2018.till now iam not getting yojana magazine.why? You should have received it from August 2018. They have updated their website and so their link has changed to https://bharatkosh.gov.in/Product/Product. Thanks for the information. We have updated the link in our website too. They have updated their website and so their link has changed to https://bharatkosh.gov.in/Product/Product. Thanks for the information. We have updated the link on our website too. I ordered Yojana magazine on 30 October 2018. On which “date” i will get my first magazine in November? Based on yojana’s official announcement they will start to dispatch magazines on previous month itself. So you will get the first magazine in November last week/ December first week depending on your location. You will start to receive the December Month Issue. On which date of the month a new issue of Yojana deliver? Mail them your details. They will reply within 24 hours in working days. Dear, Sir i have gone through the subscription procedure by online for the yojana magazinemagazine. It has completed all the process till the payment .i have also got the sms of deduction of 230 rupees for the subscription (in my mobile no).but the page shown a massage on the screen that “sorry,we r apologized ,that your transaction has not done.please try again.” Now what should i do???? You will get a refund in your bank account within 2-3 working days.